This post offers a more substantial look inside my book my book Thinking:Objects – Contemporary Approaches to Product Design, than that offered by Amazon’s listing. It is taken from the book’s introduction and sets the scene for the chapters ahead that cover 1) how we perceive objects, 2) the motivation of designers, 3) the design process and 4) the contexts in which designers work. The book aims to present information, insight and argument concerning the thoughts and theories behind contemporary product design. But what is it to be a product designer in the early twenty-first century? Is it simply a job or must it be a consuming passion? Is it to follow a brief or create your own? Is it to be a household name or a vital but unseen cog in a vast machine? Is it to be an inventor or a stylist? Artist or businessman? Hero or villain? Since it developed as a profession in its own right around 100 years ago, product design (or industrial design – the terms are compatible although imply a different focus) has broadened in scope to encompass a vast range of specialisms. Co-opting knowledge from the fields of psychology and the social sciences, product designers can be found exhibiting in art galleries, working for fashion labels, speculating on the future of biotechnology and programming computers to generate products autonomously. Yet away from the glare of the ever-increasing media interest in “extraordinary” projects, the mundane objects of everyday life are still conceived, drawn up and manufactured on a mass scale. 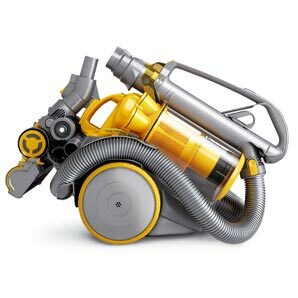 To Dyson, designer of the cyclonic vacuum cleaner, design starts with an engineering innovation and the form is secondary (fig. 1). To Arad, renowned furniture designer, the innovative manipulation of materials is his focus (fig. 2) and for Crosbie, whose company Inflate has developed a vast range of products with the manufacturing process used to make plastic inflatables, the challenge of limited resources is what drives the creative process (fig.3). Not one of the designers quoted is wrong – product design is all these things and more – but it would be futile for any of them to suggest that theirs is the only valid approach. Pluralism is here to stay and it is up to designers, their clients and collaborators, to make their own rules. The search for “good design” therefore becomes the search for definitive results identified according to the designer’s own intentions and the specific conditions of each project. If we are to judge products holistically we therefore need access to this information, along with some insight into the social fabric into which they are introduced. Sadly, little of this is made available when products are launched. With some designers unwilling to explain their work, and press interest often confined to the shopping pages, there is a scarcity of in-depth knowledge about design reaching the general public. It is left to design historians to build a picture of the significance of objects, but this often focuses entirely upon the designer’s perspective rather than attempting to look at the object’s wider impact. (4) With this information staying largely within the confines of specialist publications (this one being no exception),the public can be forgiven for the misapprehension that “design is for designers”. It is therefore vital that consumers, as well as designers, are encouraged to hone their skills at reading objects to see if this information can be gleaned directly. Castiglioni, the grand master of Italian post-war industrial design, underlines the fact that design inescapably implies ideology. Yet the capacity of designers to express a coherent set of values and to pursue these to create meaningful change has been hampered by the confines of their role. As Adrian Forty explains in his book ‘Objects of Desire’ (6), although designers tend to present themselves as the prime movers behind the existence of objects, in reality it is the entrepreneurs and managers of production companies who decide what reaches the market. According to Forty, the paradox of designers claiming omnipotence and yet experiencing relative impotence has led many to ignore the task of articulating a philosophy and to instead concentrate on building the myth that they are indeed masters of their own destiny. This sense of helplessness among designers, combined with a reticence from British industry to engage their services during the 1980s led to the gradual increase in so-called “self-production”, designermaker activity and craft-based design work. Many practitioners have made their names designing, making (or outsourcing) and selling their products direct to retailers or to commission, as opposed to working directly for the manufacturing industry. Some have used this as a springboard to enable them and their work to achieve public recognition, while to others it has been a necessary step to entice industrial clients. The parallel explosion of media interest in design has largely bypassed the “traditional” design consultancies and in-house design teams (who continue to design the majority of consumer products that come on to the market) in favour of publishing the work of this new band of independent designers. While this has brought a glut of gimmicky products into the public eye, the increase in self-production has also led to a greater awareness of singular visions and of the poetic possibilities of the design object. Although a lack of moral backbone can be blamed for accepting such jobs without challenging their underlying motives, it is important to recognise why such requests have arisen. As products evolve through the attentions of numerous designers, many reach a settled form that is accepted as being appropriate. Over time, changes in behaviour and the application of new materials, technologies or other such advances may cause a shift in this settled form, but until then radical redesigns are generally considered unnecessary and even damaging to a company’s market-share. Hence designers are encouraged to find other methods of differentiating products within these received limitations, in order to generate appeal. The time designers and manufacturers spend bringing a new product to market (the “lead time”) has shortened as competition has increased. This has resulted in less time being available for research that may bring to light new and valuable discoveries. While these factors do not excuse designers from their part in filling the planet with the “tawdry idiocies” Papanek talked of, they at least illustrate that designers work within a system of constraints. At worst, designers are simply the pencil wielders of business neither exercising conscience nor creative input. At best, they encourage their employers into meaningful dialogue, challenging them to ensure what is brought to the market is of genuine worth. While the cult of the personality has invaded the psyche of certain product designers, plenty are nevertheless involved in advancing the profession into new territory. Those featured in this book have developed contemporary approaches that are widely considered to deliver significant results. Some, such as Marti Guixe, have found ways to reconcile anti-consumerist, pro-ethical views with their role as conceivers of objects by challenging conventional behaviour (fig. 5). 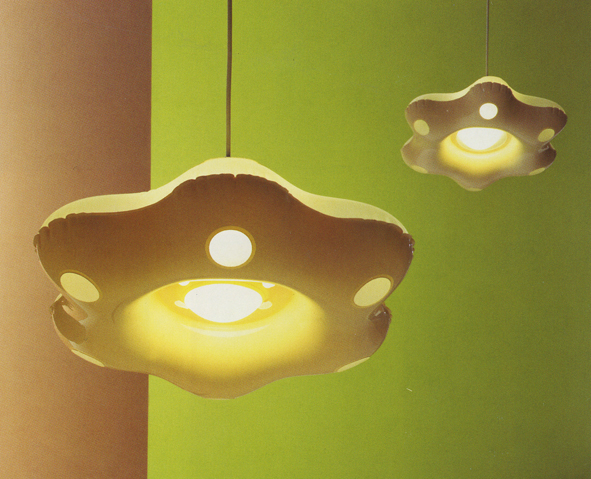 Others, such as Jasper Morrison (fig. 6), update past movements such as modernism, adopting its utopian optimism and aesthetic cleanliness while sidestepping its tendency towards social engineering. Others, such as Michael Marriott look for poetic and appropriate connections between a product’s form and its function that inject rational thinking with new life (fig. 7). Also covered are those who focus on genuine advancements in usability and functionality, improving the experience of using a product for all, regardless of age or physical ability (fig. 8). Another cohort including designers Dunne & Raby, take the opposing view that increasing user friendliness can contribute to a banal interaction with products, promoting the “on-demand” culture. They feel that by building in ambiguities, our experience with certain objects can be enriched. As Western economies continue to shift from providing discrete products to providing services, some design firms have moved their input “upstream” to help shape the business models and organisational structures of their clients. Design firms wishing to engage with these companies have defined a field – “service design” – that focuses on the “touch-points” where people interact with the employees and fabric of the service provider. Finally, the book recognises the increasing level of collaboration between designers and the public and the changing nature of this relationship. Facilitated by the networking power of the Internet, consumers are becoming “prosumers” (9), taking a pro-active role in commissioning and specifying their own products. 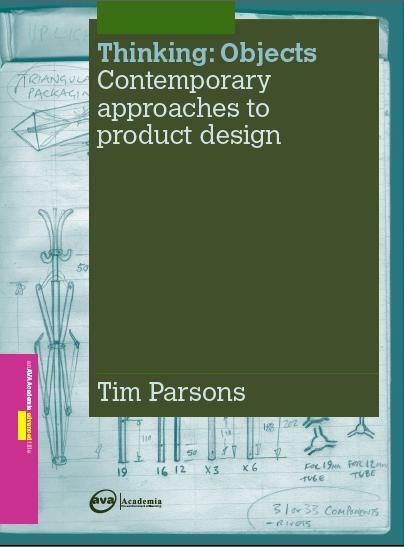 Examination of these approaches can be found in chapter 2, but the book is structured around the proposition that there are three other elements of product design that require theoretical scrutiny: our perception of the profession, the design process itself, and contexts within which it occurs. The book takes each element as a chapter. Through three essays, chapter 1, “Perception”, examines design in relation to political stances, types of value and the meanings of form. Chapter 2, “Motivation”, discusses “design as personal ideology”, uncovering what the designer is trying to achieve, and illustrates the wide range of approaches taken to product design today. Chapter 3, “Process” asks, “What does the design process look like?” in terms of a methodology and a mental model. It attempts to clarify the confusion as to what constitutes a design process and observes how practical tools such as drawing and model-making aid decision-making. Finally, chapter 4, “Context”. examines typical circumstances in which designers find themselves working and charts the key differences between them. Although this is a “theory book” on product design, it is to be remembered that theory must go hand-in-hand with practice. Our ability to discuss the ideas behind the work presented in this book is due to them being translated into models, prototypes and finished products through commitment, skill and, often a good deal of hard work. The adaptation of these theories, and their application to new and worthwhile products is up to you. An exhibition showing products from Thinking:Objects was presented at The Aram Gallery in December 2009. [8.] Sudjic, D. 2004. ‘The Strange Case of Van Den Puup: Design in the Age of Celebrity, the Death of the Object and the China Crisis.’ RSA Bicentenary Medallist’s Address, at the RSA, London, November 2004. [9.] Derived by merging the word “producer” (and later the word “professional”) with the word “consumer”, the term “prosumer” was coined by Alvin Tofler in his book, ‘The Third Wave’ (1980, New York: Bantham Books).